The Australian singer-songwriter burst onto the Australian music scene in 2003 when she reached the final three of the original Australian Idol series. 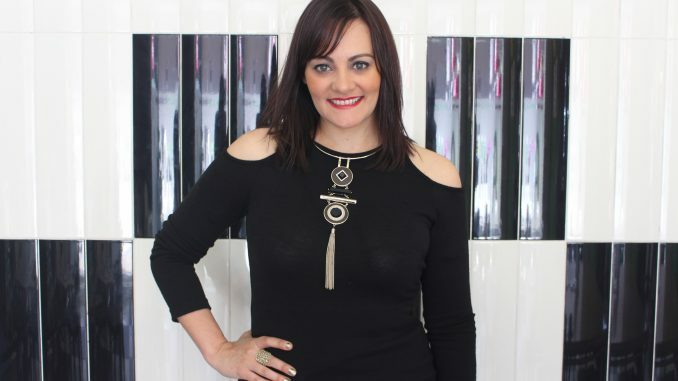 Now, Cosima is a vocal and performance coach in Five Dock, mentoring Australia’s finest young talents. Performing this year at Ferragosto, Cosima shares her go-to post-show snack and her grandmother’s Broccoli Frittata recipe. You performed at Ferragosto 10 years ago, what has changed in the Inner West since then? The biggest change has been the influx of people to the area. Families want their children to be immersed in culture, and the Inner West is oozing with beautiful diversity. The festival itself has taken on a life of its own. From its humble beginnings of a few stalls on the sidewalk, now all Great North Road is transformed. We saw over 120,000 people attend last year. I am very proud because it’s celebrating my family’s culture but also the beauty that is Australia. Can you tell us about one of your most inspiring students? I have one student who I’ve been teaching since she was seven years old. She’s now 13 and she goes for every audition — she’s been the lead in amateur musicals such as The Wizard of Oz and Shrek. She will make her mark in the industry in the years to come. When did you fall in love with singing? My grandfather is a tenor and he introduced me to the beautiful world of Opera and Neapolitan music. I knew I wanted to be a singer and entertainer when I heard Whitney’s ‘Greatest Love of All’ in 1985. I was eight, and I entered my first talent quest and performed in front of my whole primary school. I won and the dream was born. How has being a vocal and performance coach changed your life? I began teaching about 14 years ago. It was a natural progression. I love children and I wanted to make a difference by mentoring young singers who have dreams and aspirations as I did. I never had that, because my singing teachers didn’t understand the business or the mental preparation you needed to get up on stage and perform. I was an introvert, so I have a lot of parents who bring their children to me so I can help them through music to build their self-confidence. Singing builds self-expression and releases happy hormones. What’s your favourite thing about working in the Inner West? I love the cosmopolitan lifestyle. Great cafes, restaurants, and it oozes multiculturalism. There’s people from all over the globe that have imprinted their culture on our way of life through cuisines and more. Lots of different people with great stories. What’s your go-to meal after a performance? I don’t normally eat before I perform, so when I’m driving home I’m not ashamed to admit I love fast food. It fills the spot and it’s quick — especially if I’ve done a two-hour show that consists of power ballads and upbeat songs. I do love a simple Broccoli Frittata. My grandmother used to make it all the time. This feeds up to 4 people. Served with hot crusty bread it fills the spot. Boil the water in a pan with a little salt. Add the broccoli florets and cook till tender. Remove and set aside. In a bowl, whisk the eggs with the parmesan, garlic powder and black pepper. Add the salt after you have tasted the mixture. Parmesan cheese is quite salty so add salt to taste. Heat a skillet with oil to medium heat, and add the egg mixture and place the broccoli florets evenly over the top. I like to place lid over the top so it cooks both top and bottom. Alternatively, you can finish it off in the oven if your pan is oven proof. Cook for about 5-10minutes depending on whether your using an electric or gas cook top. Serve with hot crusty bread and wedges of tomato. Yum!